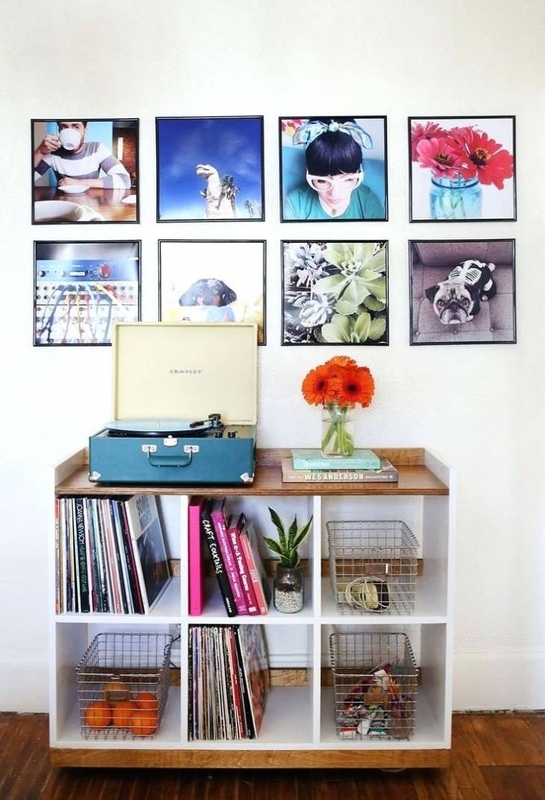 Hanging a series of framed photographs is a great way to add personality to any room. Not sure where to find the perfect images? Don’t forget that you already have a beautifully curated collection of travel shots, portraits, food photography, and artsy photos of your dog—on your Instagram feed. Print and frame them for a fun gallery wall in your home. 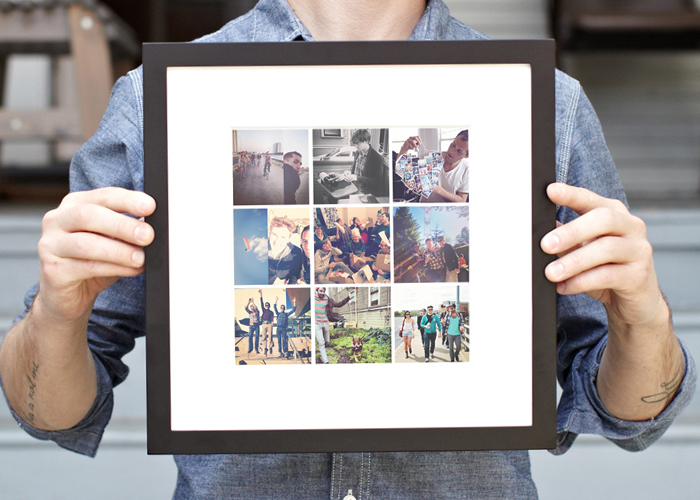 One option is to create a grid of small photos inside one frame. For a cohesive look, make sure the color palettes and compositions of the pictures complement each other. This works great for a group of candid shots of family and friends. 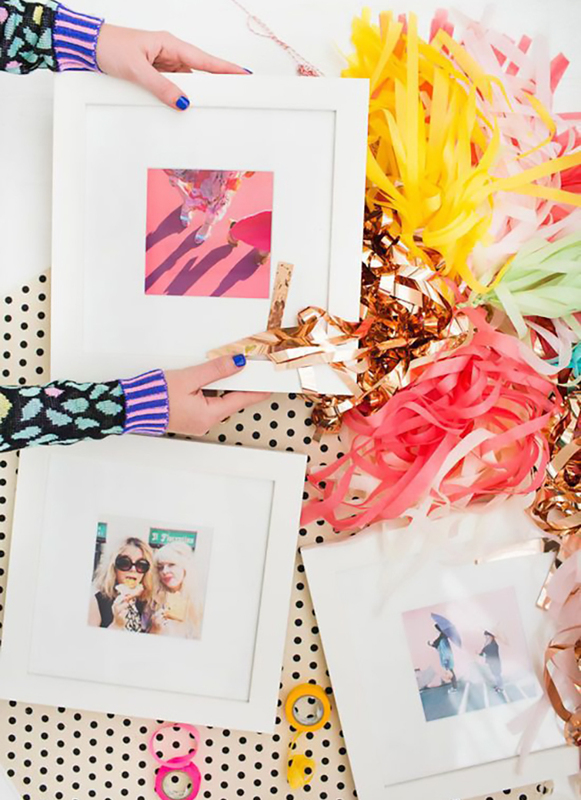 If you’d prefer to frame each photo separately, try a white frame with a large mat. It will create a classic and clean appearance and make the photo’s colors pop. Skip the mat for a more streamlined look. 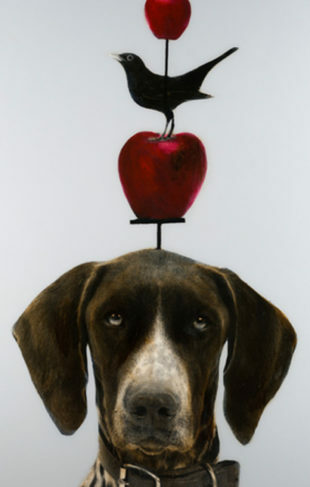 A thin black frame is perfect for a modern industrial apartment. 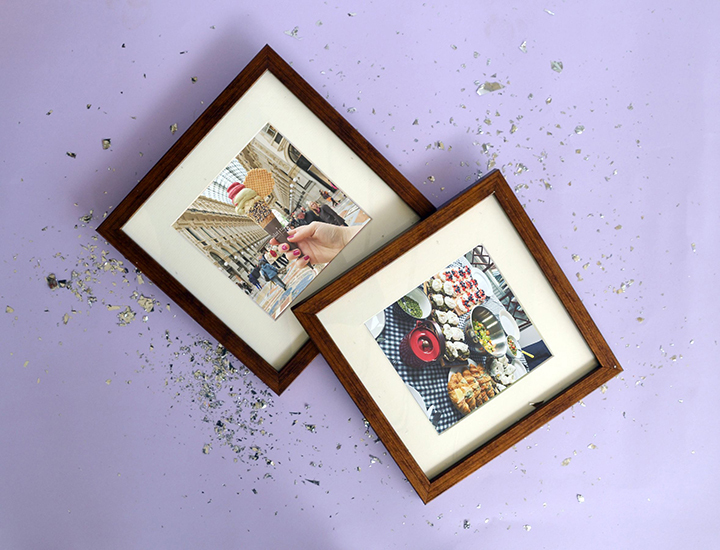 For Instagrammers who love to document their meals, those photos of latte art and elaborate sushi dinners will make a great gallery in your kitchen. A rich wooden frame will give the photos a warm and friendly feel. Explore more framing and matting ideas on Mitered Corner or contact the gallery nearest to you to speak with one of our experienced framing consultants.